How can you tell the quality of chocolate? How do you discern a good quality chocolate if you don’t know anything about the ingredients and only have taste and look to go from? Tasting chocolate is a lot like tasting wine (although I would say better). Words used to describe chocolate flavours are not dissimilar to those used for wine and the variations in flavour can also be great depending on where the cocoa beans were grown and how they have been processed and then mixed with other ingredients. Allow chocolate to reach room temperature. Place the chocolate in your mouth and enjoy the primary flavours and aromas. Chew the chocolate slowly a few times to release the secondary flavours. Allow the Chocolate to sit above your tongue, at the roof of your mouth, to ensure that you enjoy all the flavours. Appearance – Chocolate should be shiny and smooth. Smell – Chocolate should not smell excessively sweet. Sound – When broken in two, chocolate should make a distinct snap. Chocolate that splinters is too dry and chocolate that is too hard to break is too waxy. Touch – In your mouth, chocolate should feel ultra smooth and not be grainy. Due to its high cocoa butter content, chocolate should melt quite quickly when held in the hand. 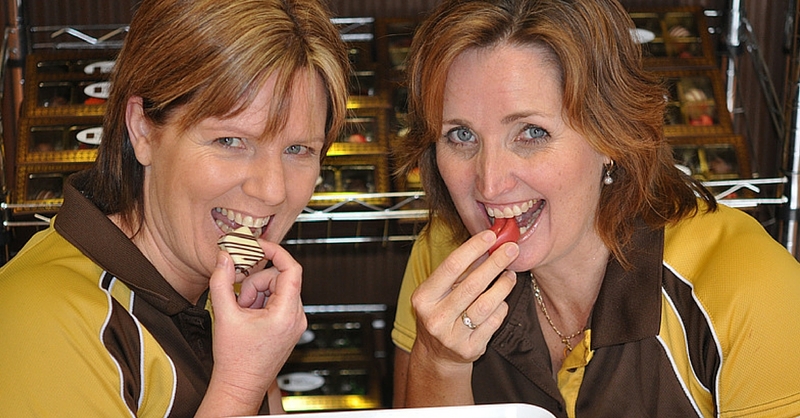 Taste – Chocolate should be allowed to sit in the mouth so that all the many flavours can be enjoyed. Now you know how to really appreciate your chocolate, best go out and get some to test out your new knowledge!